WHY GO: Jimmy Stewart and Punxsutawney Phil are just the beginning in the Indiana County PA region, also known as an Abolitionist stronghold, and for its Christmas Trees, Indiana University of Pennsylvania, and, interestingly, its “Salt Wells.” Indiana County became the “Christmas Tree Capital of the World” after coal companies had denuded the land, discovering, in 1910, that only evergreen trees would grow here. TOUR: Punxsutawney PA. Just outside of Indiana County – a bit closer to I-80 – this little town of 5,500 more than quadruples in population every February 2nd when resident rodent, Punxsutawney Phil, announces (in language only a select few can decipher) whether or not he’s seen his shadow, auguring Spring or another 6 weeks of Winter. 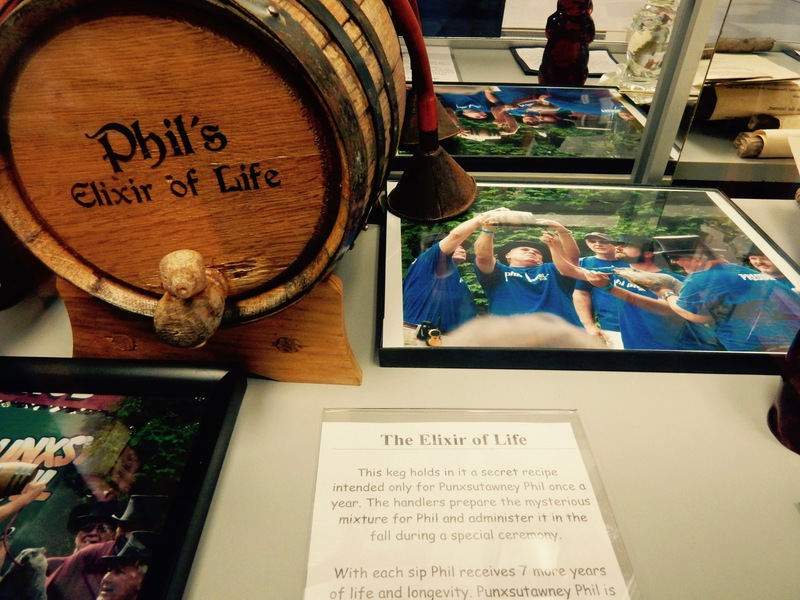 So important is this “Seer of Seer’s,” Phil’s forecast is recorded in the Congressional Records and the Library of Congress. Groundhog Day, based on the German Candlemas tradition, (which used a hedgehog for the same Spring prophesy, right at the midpoint between Winter Solstice and Spring Equinox), is so important here, Feb. 2nd is a school holiday. First celebrated in Punxsutawney in 1886, Groundhog Day has since become a National spectacle, especially following the release of the movie starring Bill Murray in 1993. 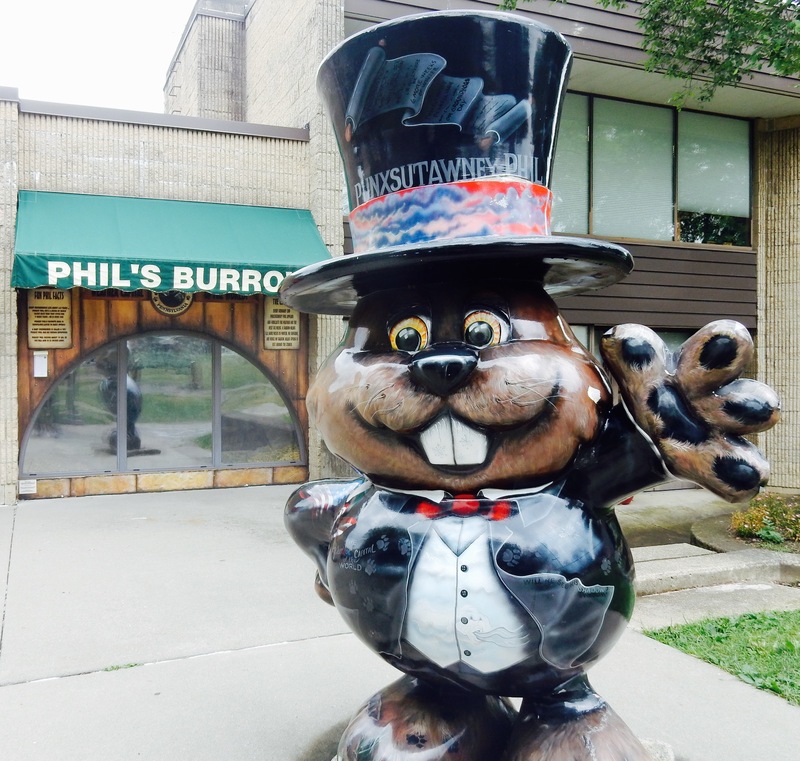 Though anyone can join the Groundhog Club (for a fee), there are only 15 top-hat wearing men in the “Inner Circle,” who understand groundhog lingo, and assert that the current Phil is the same Phil as first popped out of his burrow in the 1880’s. He’s lived to 150 years old by virtue of a special “Elixir of Life” that expands his life by 7 years each time it’s administered to him every second Saturday after Labor Day. Only two members of the Inner Circle can handle Phil (licensed through the USDA) – and must do so with falconer’s (chain mail) gloves, as Phil is a feisty bugger with sharp woodchuck teeth. Come to town and you can see Phil, and his “wife,” Phyllis, in their glass-enclosed burrow. 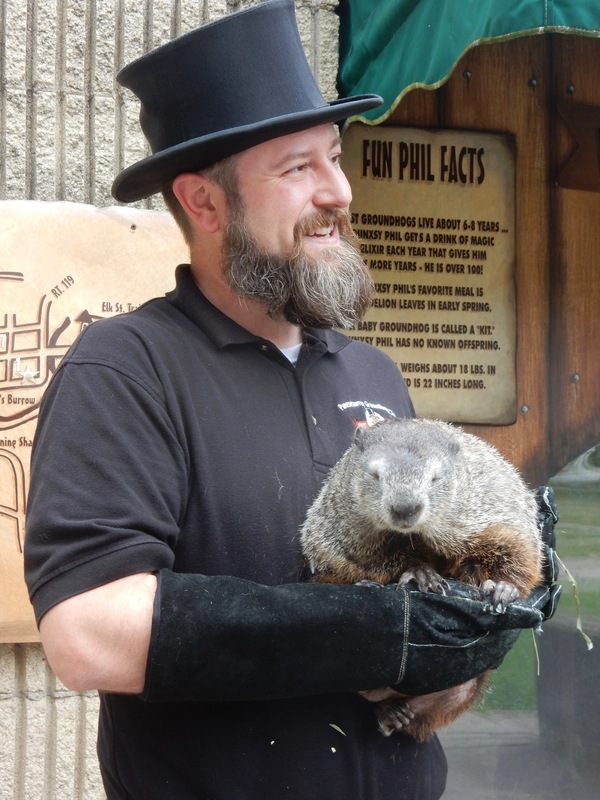 If a journalist is in town and a handler is on hand, you may be lucky enough to see him outside his lair (photo of Inner Circle Groundhog Handler, A.J. Dereume – the “Rainmaker”). 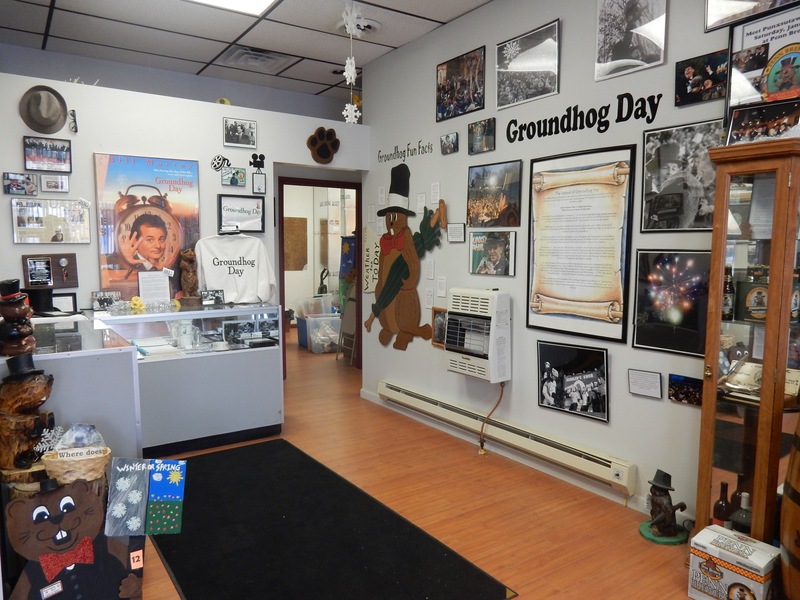 You can see more photos and artifacts at the Punxsutawney Groundhog Club Headquarters, which also serves as a small museum, and purchase Phil paraphernalia at a store a few doors down. Afterwards, head uphill about 2 miles from town to Gobbler’s Knob, where the famous and oft filmed stage is set for Phil’s pronouncement. It was up here that Bill Murray hid in the crowd one Groundhog Day before filming, coming up to the stage only after the festivities were over (so as not to detract from said festivities). The movie was not shot here, but Murray was getting into the spirit of things and doing some research. Each year, on February 2nd, you’ll find no ads, no corporate sponsors, nothing to pollute this pure as the driven snow American holiday; just between 30,000 to 40,000 people who come to see/hear Punxsutawney Phil’s prediction. VISIT: Jimmy Stewart Museum, Indiana. 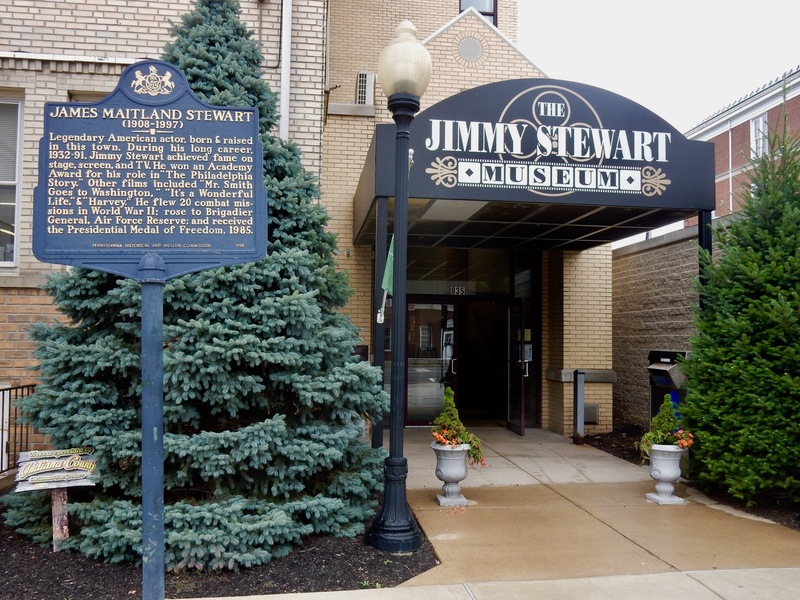 Anyone who’s ever felt a jolt of emotion while watching the movie, It’s A Wonderful Life will want to visit this one museum devoted to hometown hero, and all around swell guy, Jimmy Stewart. 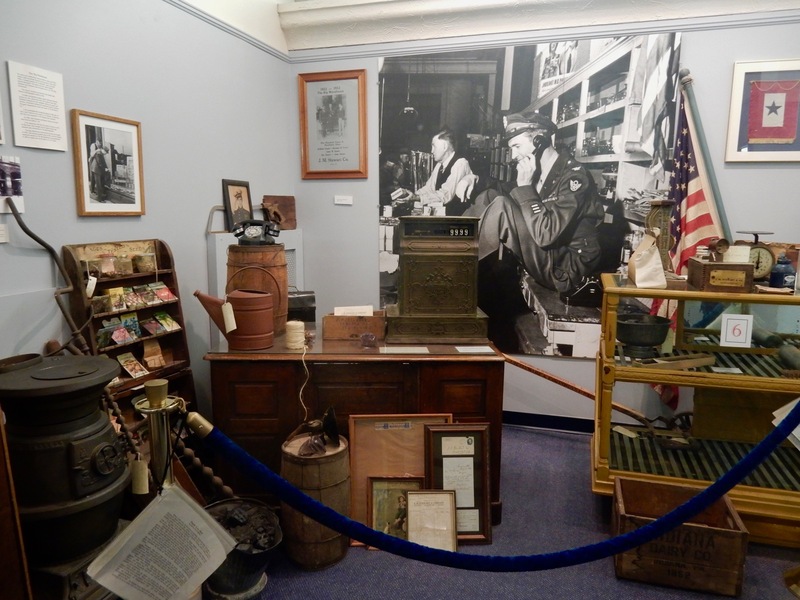 It figures that the Jimmy Stewart Museum, opened in 1995, shares space with the town Library. After all, humble Stewart himself didn’t want a museum devoted to just him and his movie career, wishing instead to focus on his family, the town, and his service in the Armed Forces during WWII. To that end, these series of exhibits, on the 4th floor of the library are filled with early pictures of Stewart with his family in his house on “Vinegar Hill” (still standing – and you can actually sit on the porch for a photo op), his childhood bed, a diorama from the family-owned hardware store, the door to the home he shared with beloved wife Gloria (who he married when she was 40) in Beverly Hills, artifacts from his Los Angeles Office, his actual booth from Chasen’s restaurant, and of course, posters and stories from each of his 85 movies, from the 1934 Art Trouble, to Harvey, Philadelphia Story, Mr. Smith Goes to Washington, and of course, It’s A Wonderful Life. It’s interesting to note that It’s A Wonderful Life was a flop at the box office in 1947, when post-war America was rebuilding and had no taste for a main character bent on committing suicide. But the film found renewed life on television decades later, when it ran during the Christmas Season as a message of compassion and redemption. In later life, asked which movie was his favorite, Stewart answered unequivocally: It’s A Wonderful Life by far. Born in 1908, Stewart died in 1997, leaving a legacy of kindness and decency. Open Mon-Sat 10-4, Sun 12-4, $8. 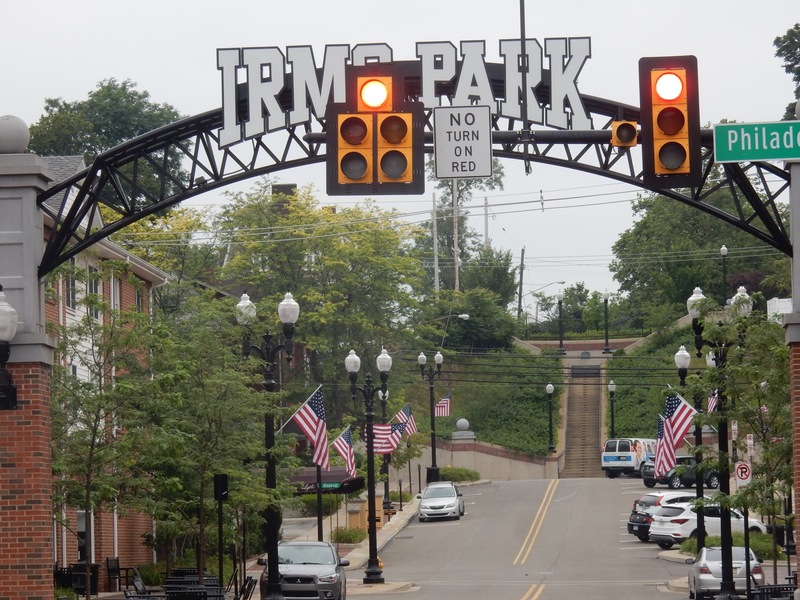 WALK: All over downtown Indiana. The Crosswalk message on the corners of 9th and 7th Streets is Jimmy Stewart as depicted by Rich Little. 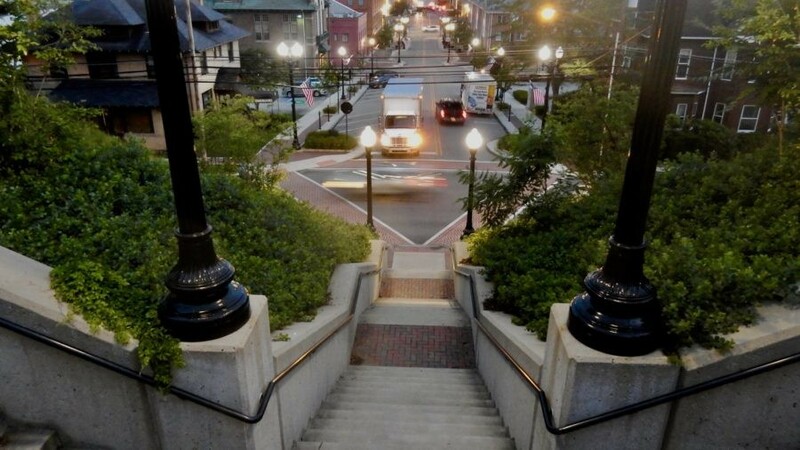 Look across Philadelphia St. to a set of stairs. 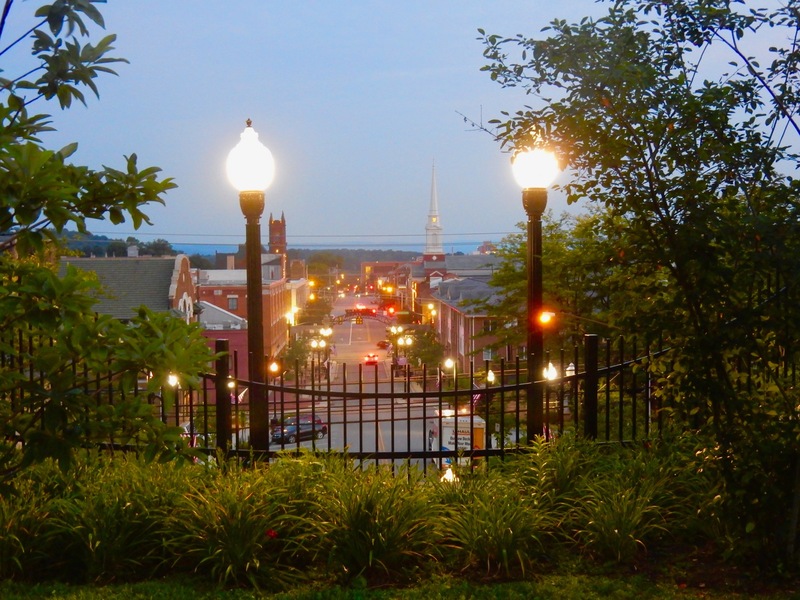 That’s “Vinegar Hill” – and if you climb up, and veer left, you’ll be on the front porch of Stewart’s boyhood home. 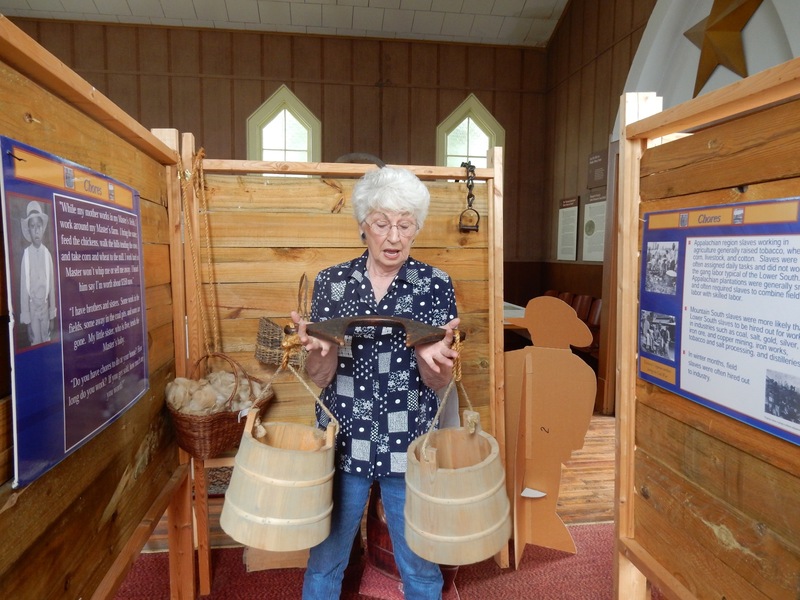 VISIT: Underground Railroad History Center, Blairsville. 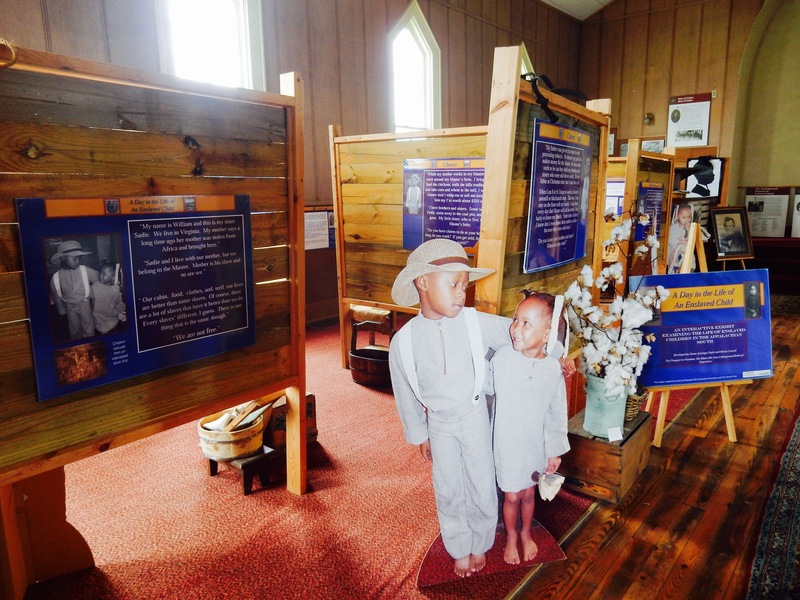 Located in the 1917 Second Baptist Church, this low-tech, hands on, much-researched one room exhibit illuminates the plight of the enslaved and the gumption of freedom seekers and those who helped them along the way. 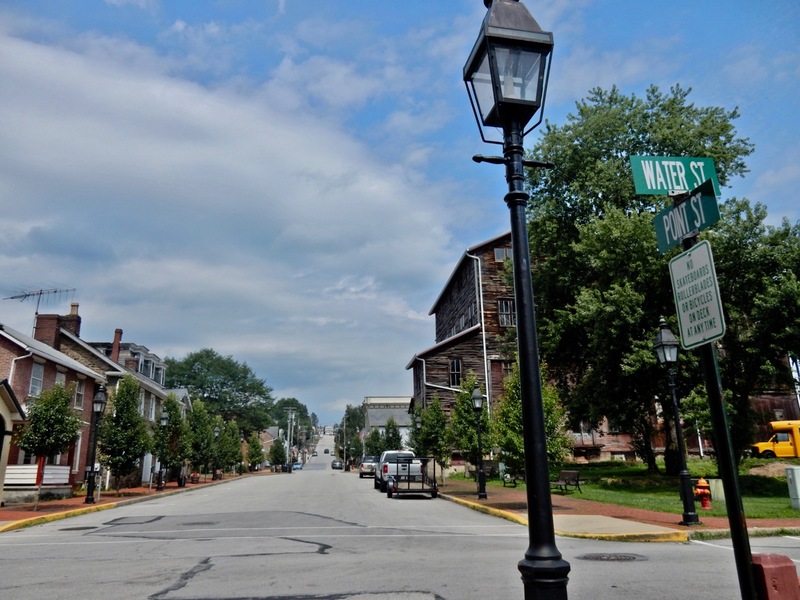 Blairsville was a canal town, and as such, part of the water-highway to Pittsburgh – rendering it a logical stop on the Underground Railroad. After the Civil War, Blairsville Abolitionist, Alexander Moorhead, Jr., wrote the names of Underground Railroad “Conductors,” stops, and incidents specific to his hometown. Such documentation makes these displays all the more poignant. There’s a table set with one week’s worth of slave rations, another area, “The Day in the Life of an Enslaved Child,” depicting the backbreaking chores that kids as young as 5 would be forced to do (including a child-size yoke, used to pull heavy plows), hand-crafted playthings like dolls and marbles, and other hands-on artifacts from everyday life. To indicate just how anti-slavery this town was, Blairsville’s Fugitive Slave Rescue of 1858 is still celebrated today. In 1858, eight years after the Fugitive Slave Act was passed, allowing slave trackers to find and return freedom seekers from free states, Blairsville locals formed a mob to rescue a fugitive named Richard Newman – who had been living in Blairsville for six years with UGRR conductor, Lewis Johnson- from such a hunter. Open by appointment only. Contact Marna Conrad, guide and historian, for personal tours; blairsvilleugrr@yahoo.com, 724-541-2344. 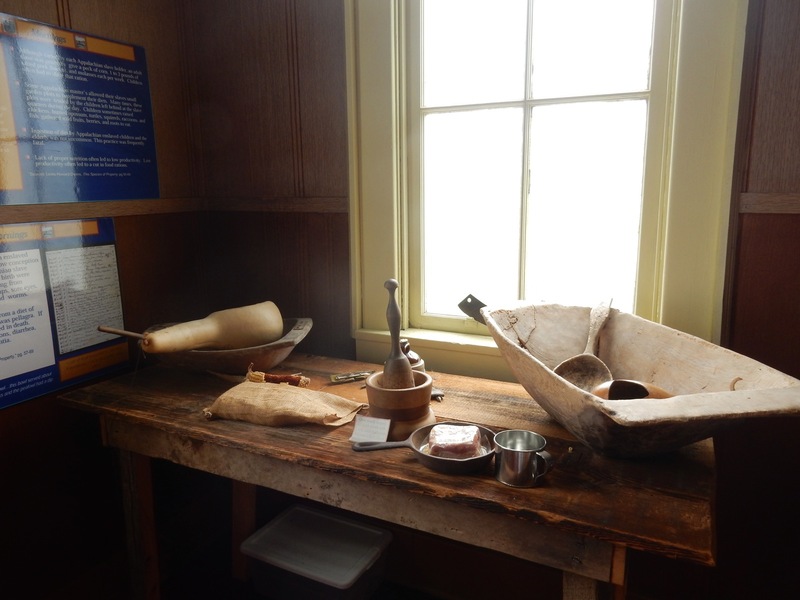 VISIT: Rebecca B. Hadden Museum at 1830 Stone House, Saltsburg. Originally a Canal and then railroad stop between Philly and Pittsburgh, Saltsburg once bustled with industry. Though this dusty glass case museum holds the requisite local stuff – coal mining artifacts, Native American arrowheads, pictures of floods, and a portrait of Jimmy Stewart painted by his sister, the most fascinating exhibits are about Saltsburg’s namesake – “salt wells” that provided the country with most of its domestic salt. Beginning in 1813, drillers discovered salt deposits 300 feet below ground. Pumped with water, brine was brought to the surface, evaporated, and the resulting high quality salt sold all over the country. In fact, this valley was the 3rd largest producer of salt in the USA with over 21 Salt Works within 2 miles; that is, until salt drillers like Samuel Kier began to notice a viscous liquid befouling the wells. 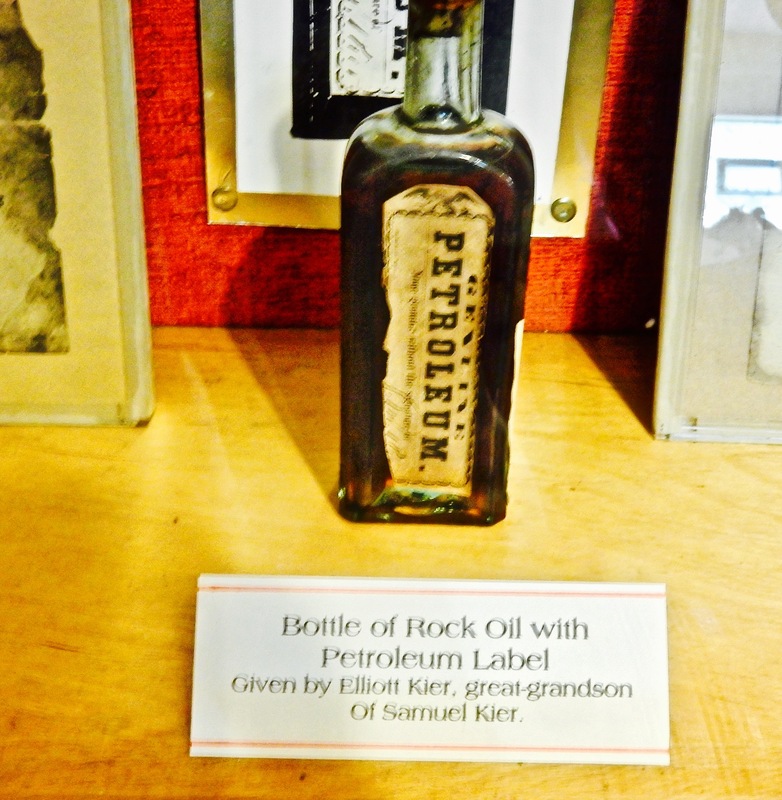 The sticky substance was found to be crude oil, first sold by Sam Kier for medicinal purposes – a “Cure All” called Petroleum. Kier went on to develop an economical way to make kerosene and established the first oil refinery in Pittsburgh in 1853. Open Wed 10-2, Sun. 1-5, $2. 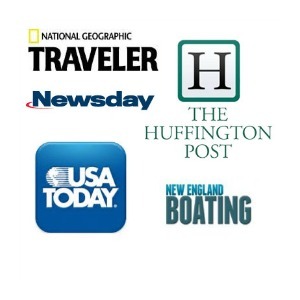 KAYAK: Saltsburg Canoe and Kayak Rental, Saltsburg. 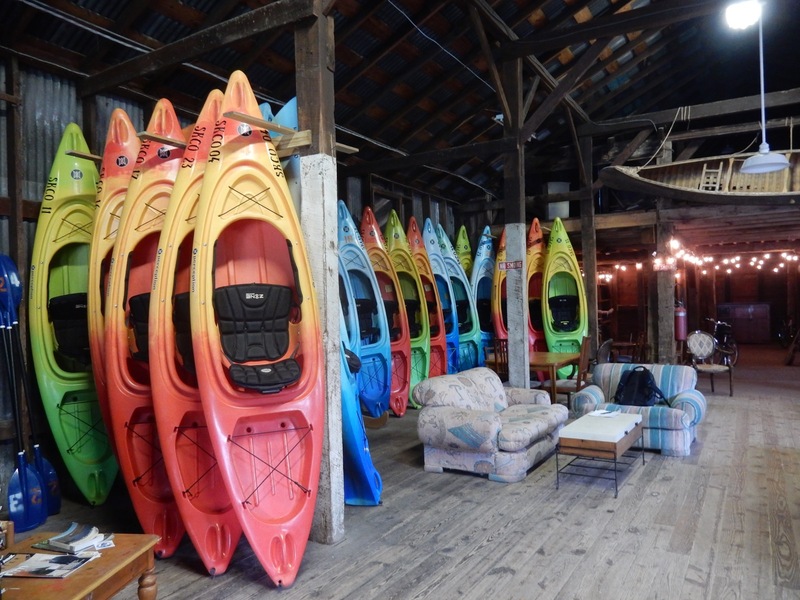 Rent your kayak for as little as $28 from this quirky spot, located in the historic George Altman Mill, at the confluence where Loyalhanna Creek meets the Conemaugh to form the Kiskiminetas River. It’s right across the street from the Stone House Museum. 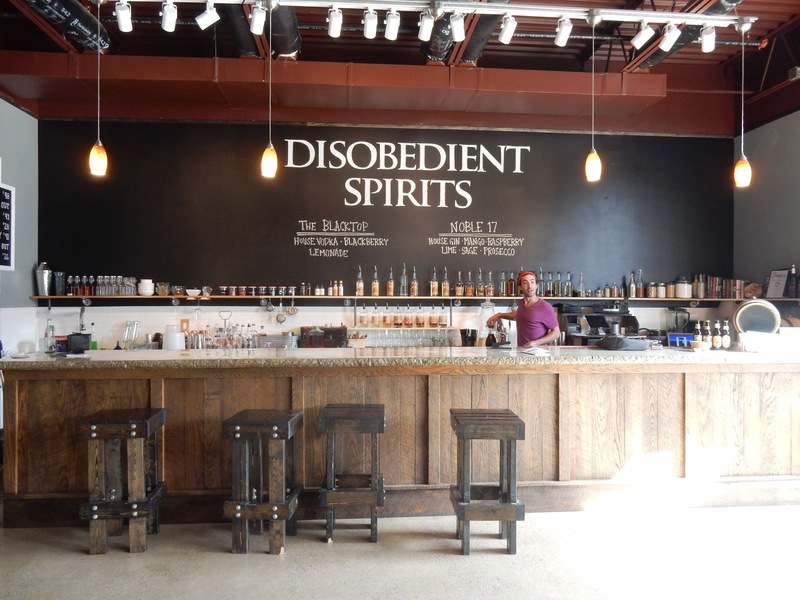 TOUR/TASTE/DRINK: Disobedient Spirits, Homer City. Who are disobedient spirits? Gandhi, Ben Franklin, Susan B. Anthony, Nelson Mandela to start. What are disobedient spirits? The vodka, whiskey, brandy, and gin that drip from backroom distillers in this brand new craft cocktail, beer and wine, pool and game hall, (formerly a grocery store). 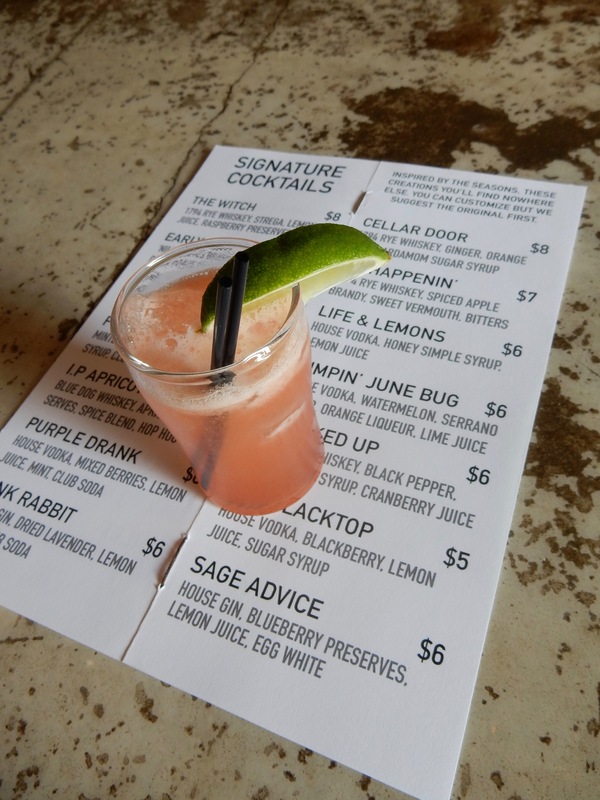 Drawing crowds to this small town between Blairsville and Indiana PA on the Hoodlebug Bike Trail, Disobedient Spirits also offers Yoga, Painting classes, Darts, Jenga, and other tavern games to go with crafted drinks like Jumpin’ June Bug – a blend of House Vodka, Watermelon Orange Liquor and Lime Juice. Though you can find Disobedient Spirits in local bars and restaurants, belly up to the cool poured concrete epoxy-resin bar to sip them at the source. Open Tues-Sun noon – 9 (till 11pm on weekends). 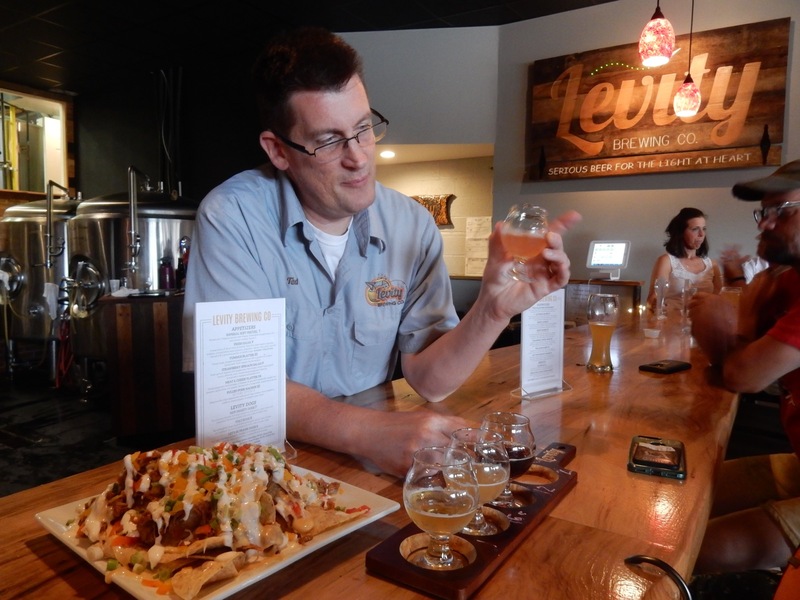 TASTE/EAT: Levity Brewing Co, Indiana. Levity is just what it sounds like: “serious beer for the light of heart.” The brainchild of three light-hearted hometown guys who came to the conclusion that “Indiana PA needed a brewery,” Luke McKelvy, Jay Herman, and Eric Walls commandeered an old window factory, and created a local sensation. Now, you’ll find Manager, aka “Taproom Ted Pivetz,” welcoming all kinds of folks of every age from all over enjoying Spel Czech (Pilsner), Korrie and Her Wheat (American Hefeweizen), It’s Hoplicated, Hoodlebug Brown (American Brown Ale), Haze Frehley (Vermont IPA) among many others (soft drinks for the kids), as well as “Levity Dogs,” soft pretzels ($7), pulled pork nachos ($9), and more bites. Crammed on a midweek night, this is a very happening spot. BICYCLE: There are three bike trails in Indiana County. The 36-mile Ghost Town Trail, 10-mile Hoodlebug Trail, and the 2-mile Blairsville Riverfront Trail. Most are also open for walking and cross-country skiing. 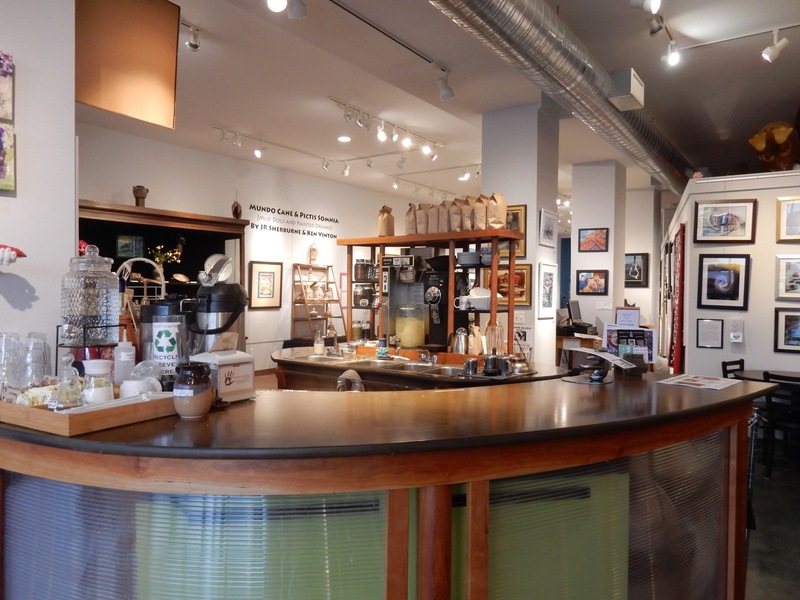 SHOP: Artists Hand Gallery and Espresso Bar, Indiana. Exactly as it sounds – a cool coffee bar surrounded by of oodles of unique hand-made arts and crafts. 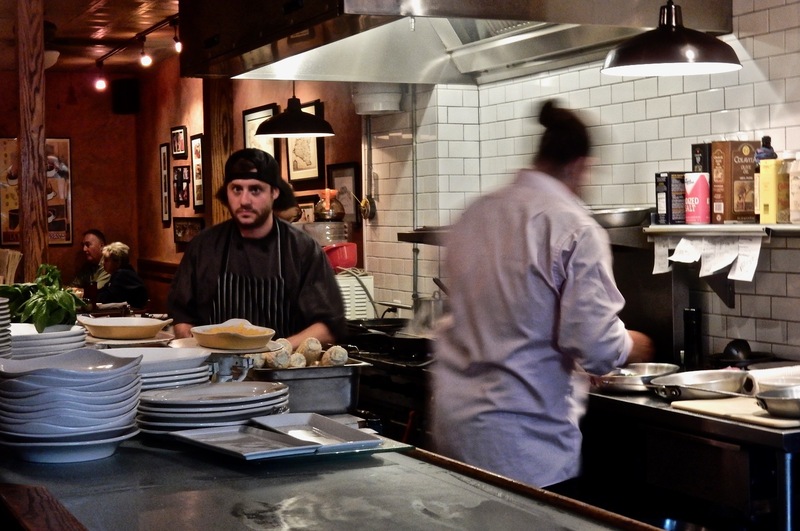 EAT: Nap’s Cucina Mia and Josephine’s Pizzeria, Indiana. Owned by the same family, these side-by-side restaurants are equally great, though differ in cuisine. 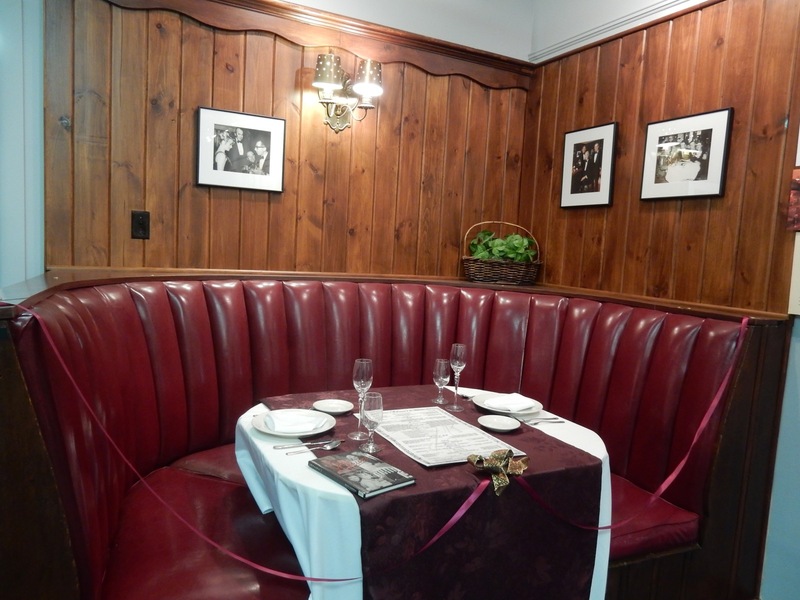 Nap’s, named for Napoleon Patti, began as a “shot and beer bar,” open 24 hours a day. In 1992, daughter Mary Joe turned it into a fresh pasta restaurant, and her son, Nick Karas upscaled it further, offering steak and fish. It’s now one of the top restaurants in Indiana PA.
Nick branched out next door, naming his own Neapolitan wood-fired Pizza joint after his Grandmother, Josephine. 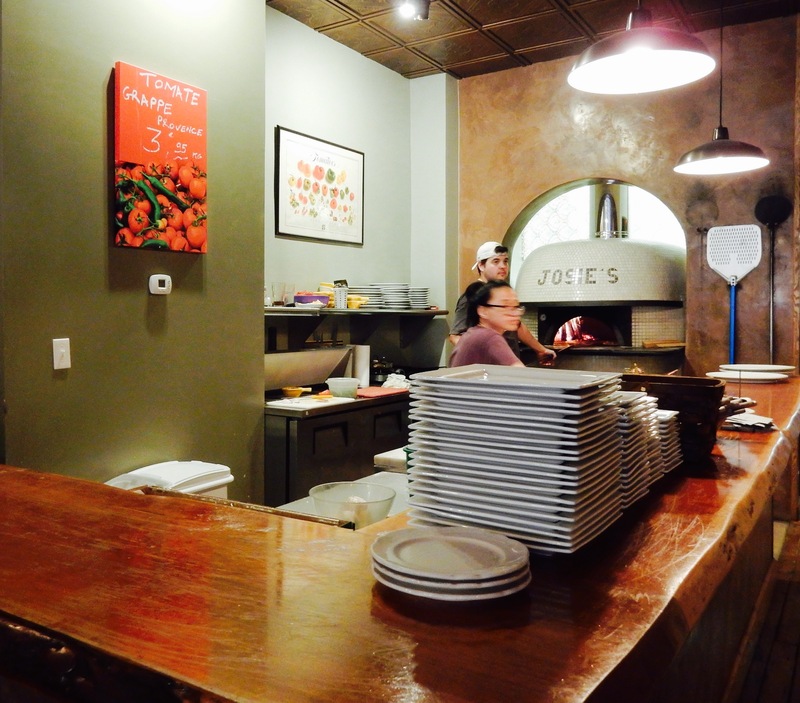 Josephine’s interior was literally built around the Italian-made wood-fired oven, which came on a barge to the USA, and then on a truck to this western PA town. Besides artisanal pizza, you’ll find great cocktails, like the wicked Limóncello Martini, crafted by talented bartender, Ian. EAT: Benjamin’s, Indiana. 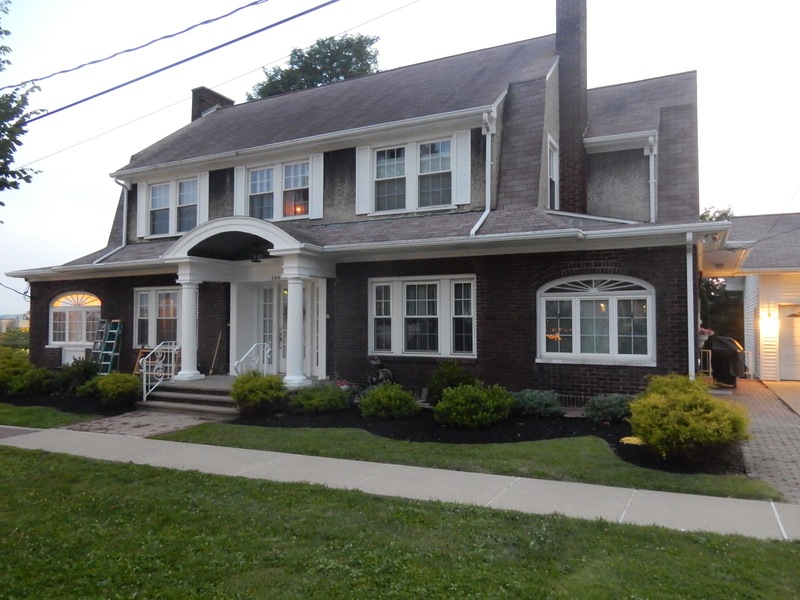 Set inside and out of a large Victorian home, Benjamin’s features fine food, and a great summer patio, and just keeps getting larger and larger. A hit with locals and parents picking up or dropping their students off at IUP. 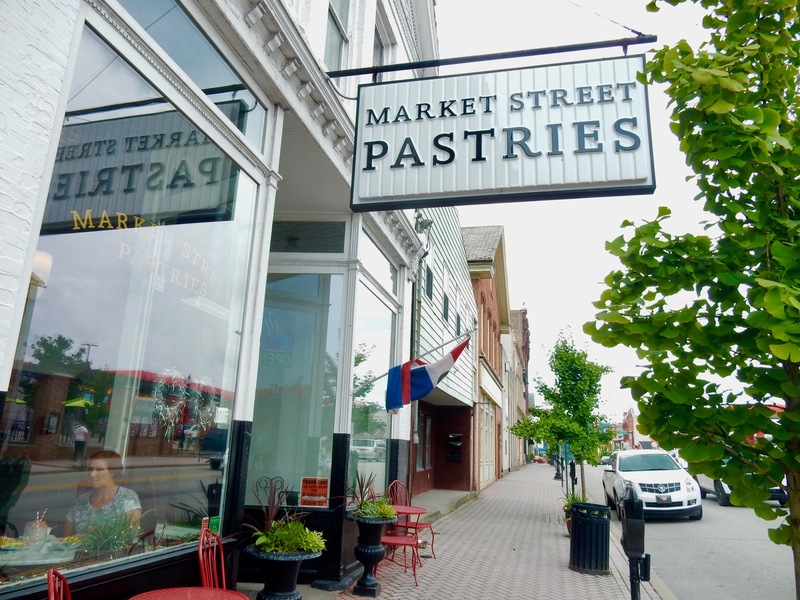 EAT: Market Street Pastries, Blairsville. This adorable, bright lunch spot dishes out a lot more than sweets. 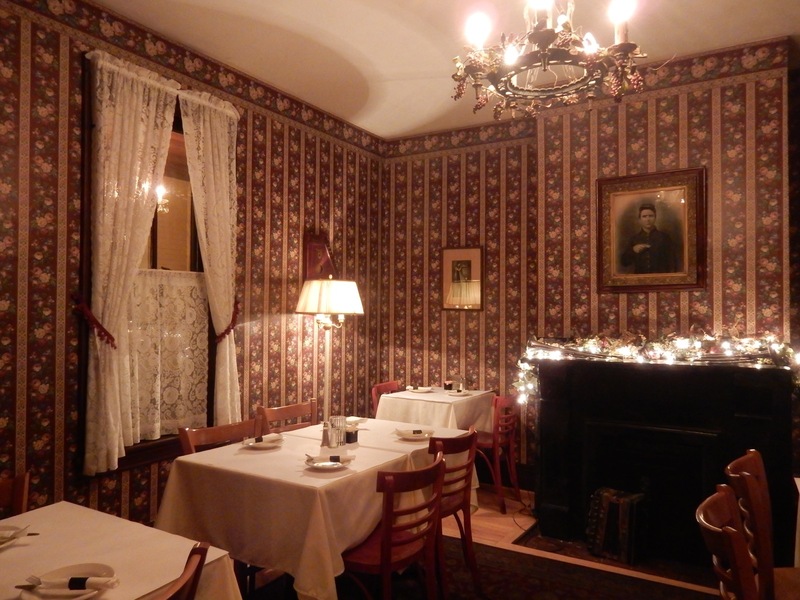 Try the homemade soups and sandwiches – fresh, tasty, and excellent. 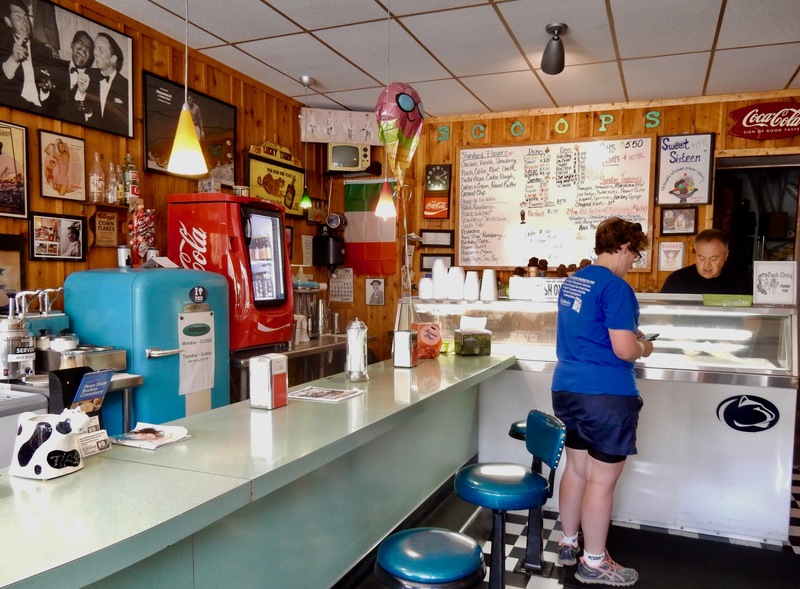 ICE CREAM: Scoops, Blairsville. This doo-wop shop has Penn State Creamery Ice Cream on its side. And man, is it fantastic, placing it among the country’s top ice cream shops. STAY: Hilton Garden Inn, Indiana. 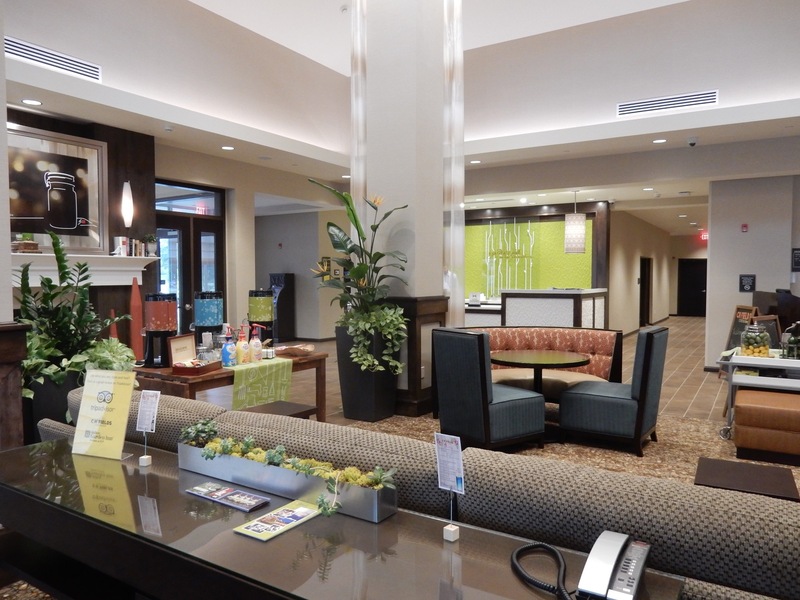 It’s rare that the Mavens recommend a chain hotel, but in this case, it’s the best place in town – and conveniently located next to the Convention Center on the IUP campus. Brand new, rooms are bright and clean, the lobby is pretty and modern, and the in-lobby restaurant serves up good food from an open kitchen. There’s also a Craft Cocktail Bar that bustles at night, an indoor pool, and an outdoor fire pit.